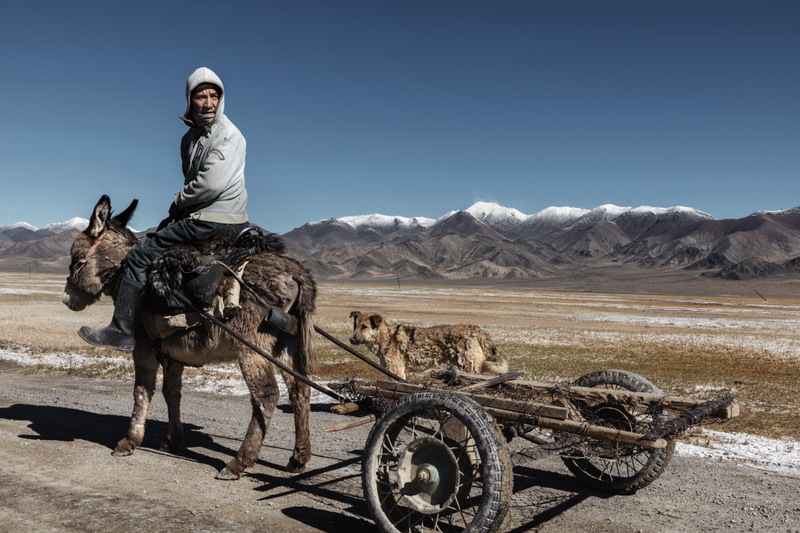 Torn between Russia and China, the Tajik population is at a crossroad in seek of future and development. Tajikistan is, in fact the poorest of the states, born out of the dissolution of the Soviet Union. Its’ economy struggles and the country is heavily affected by unemployment and poverty. A culture which was born inside Russia now moving towards the influence of China. 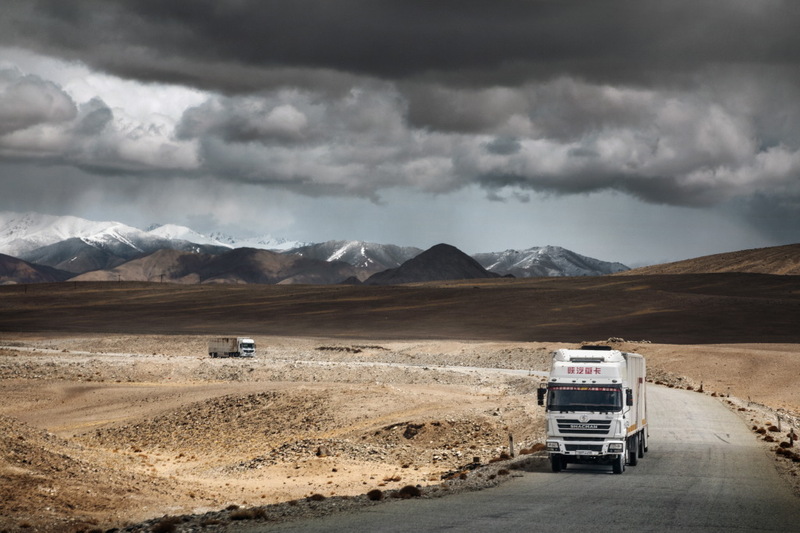 Today, in fact all transportation of goods, from food to clothes to equipment is managed and brought from China. Many workers however still emigrate to Russia to find employment. 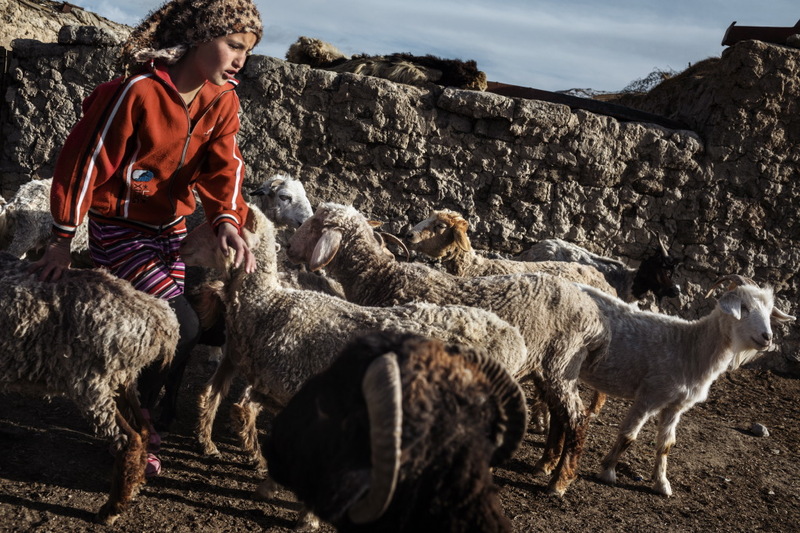 The ancient Silk Route has become a pathway for providing sustainment to the remote populations in the Pamirs. 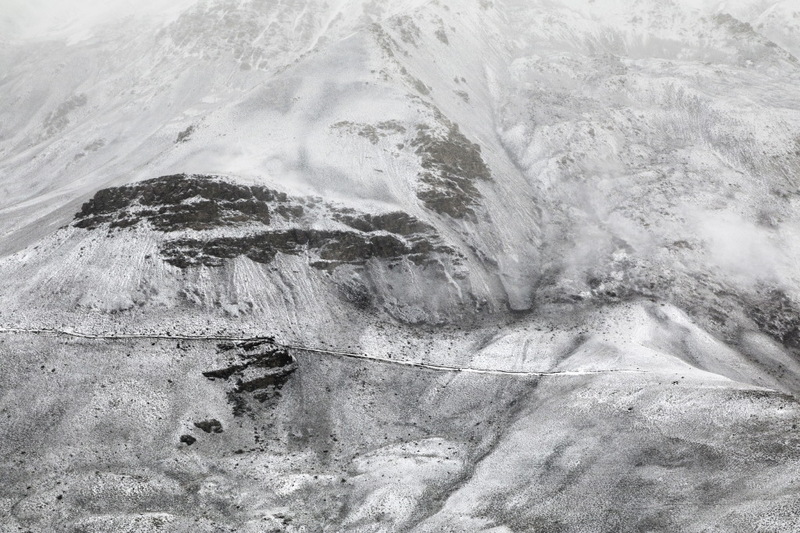 Nestled high up at unimaginable altitudes, the population resists and lives in basic conditions. Life is about farming the land to generate a small produce, herding sheep to provide meat and wool. 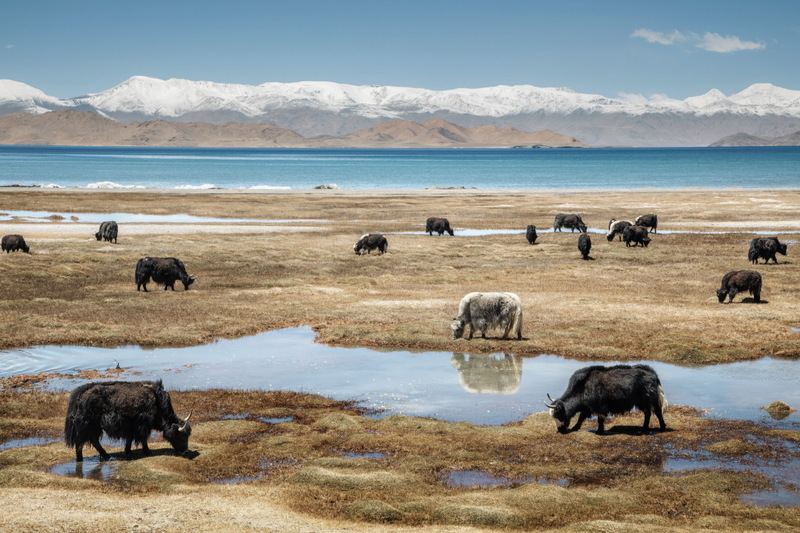 The yak is an important part of their lives too, as it is well adapted to high altitudes and provides a fundamental means of transportation, as well as for its meat and coat. The Pamir mountainous knot, forms the largest mountain range in Central Asia and the World. 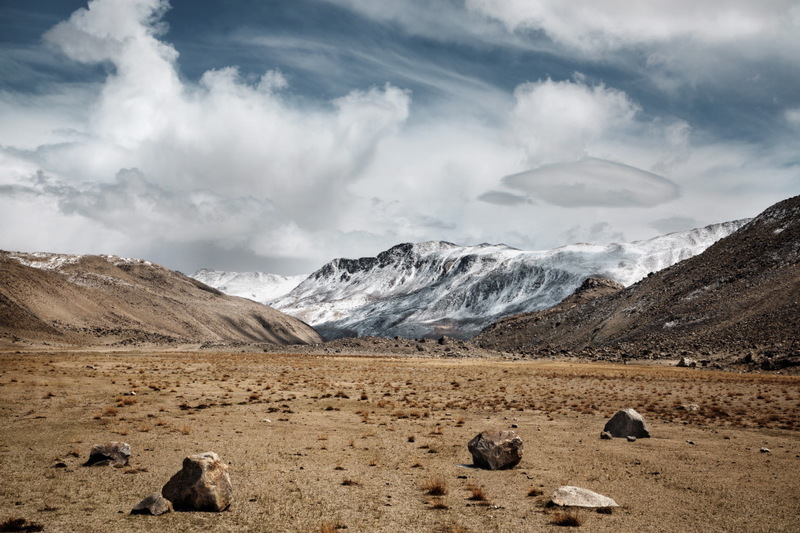 Known as “The Roof of the World” they are not only the highest region in Tajikistan but also one of the World’s highest regions, closely comparing to the heights of Tibet’s mountains. 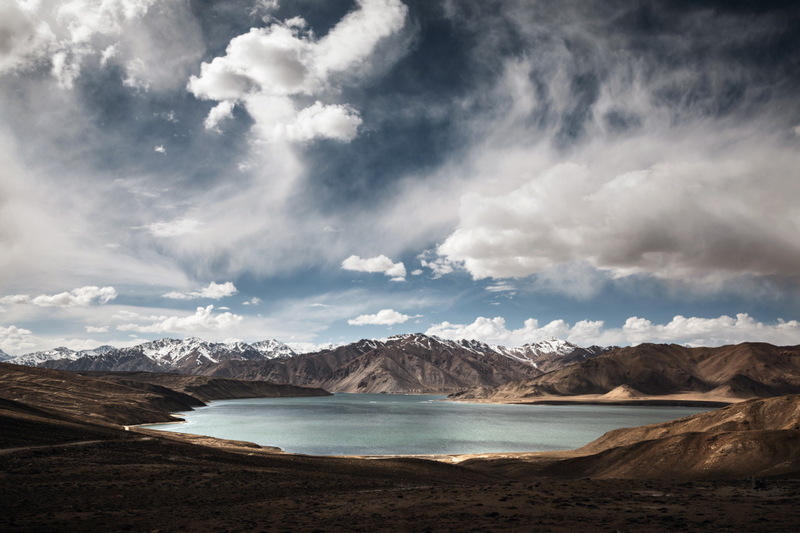 The Pamirs as such, refer to the range that extends from Tajikistan into Afghanistan and China. 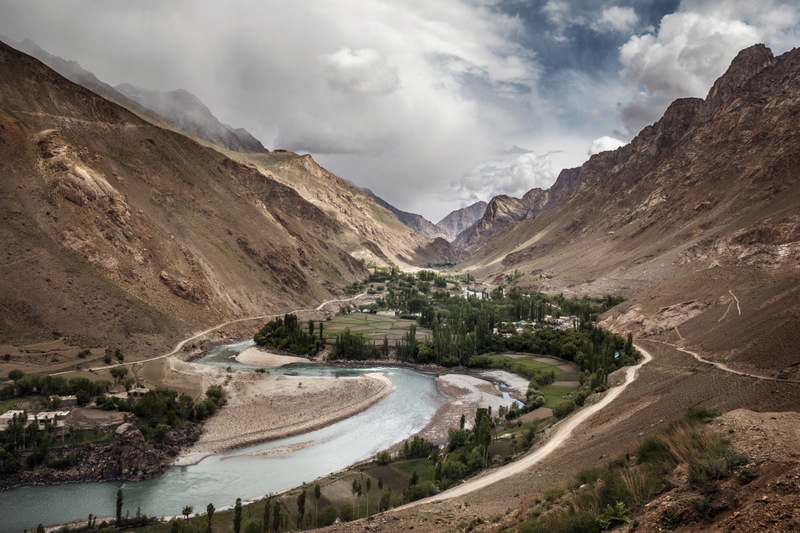 The border between Tajikistan and Afghanistan is a narrow strip of land that juts to then meet the China border. 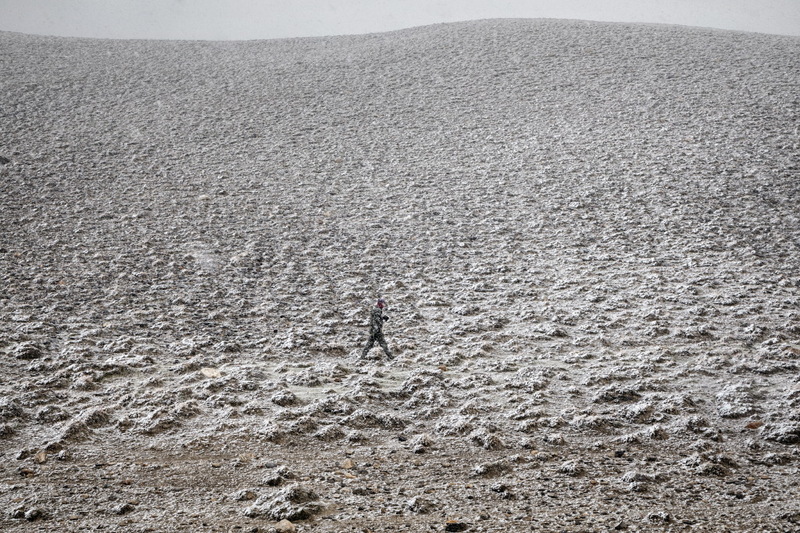 This land is part of what could be called the last corner of the world that has not been explored in depth. The slow industrial and technological revolution has forced the inhabitants to be totally immersed in this vast rural area, agricultural and mountainous, thus developing a consolidated identity of many strong tribal values ​​and a spiritual relationship, almost sacred, with the environment, where land and time become two essential elements. (Text by Muriel de Meo). Tajikistan 2018 Along the road from Langar to Alichur,. 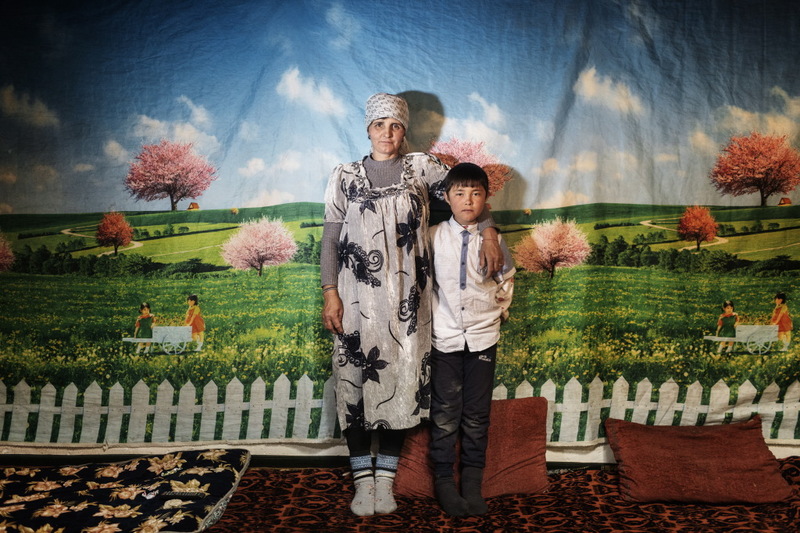 Tajikistan 2018. Along the road from Langar to Alichur. Kara Kul lake, Tajikistan 2018. Alichur village, Tajikistan 2018. 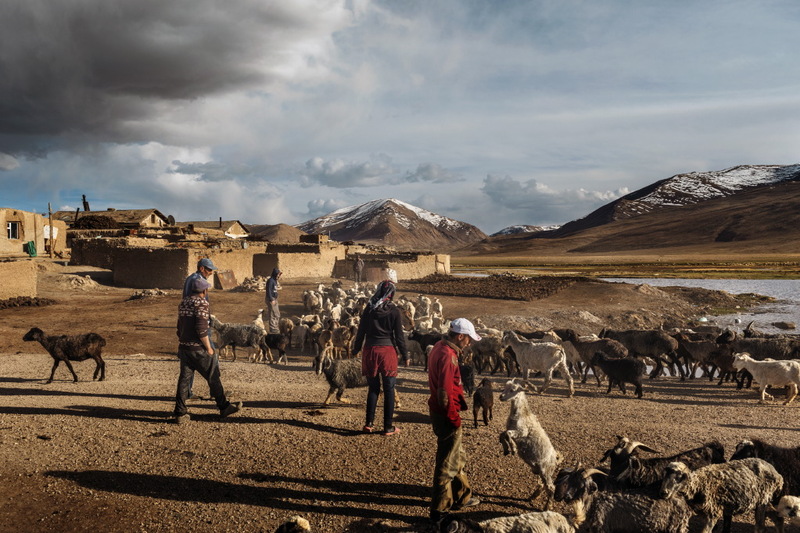 Shepherds return towards the village of Alichur with a large herd of sheep The farmers of the Westerns Pamir cultivate food crops for their own sustenance, contributing to higher levels of nutritional self-sufficiency. 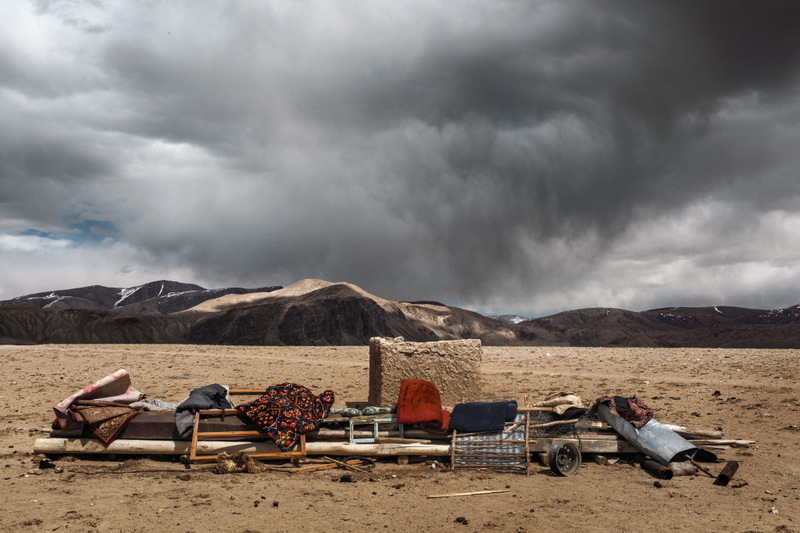 GBAO is one of the poorest regions in Tajikistan and in all Central Asia. 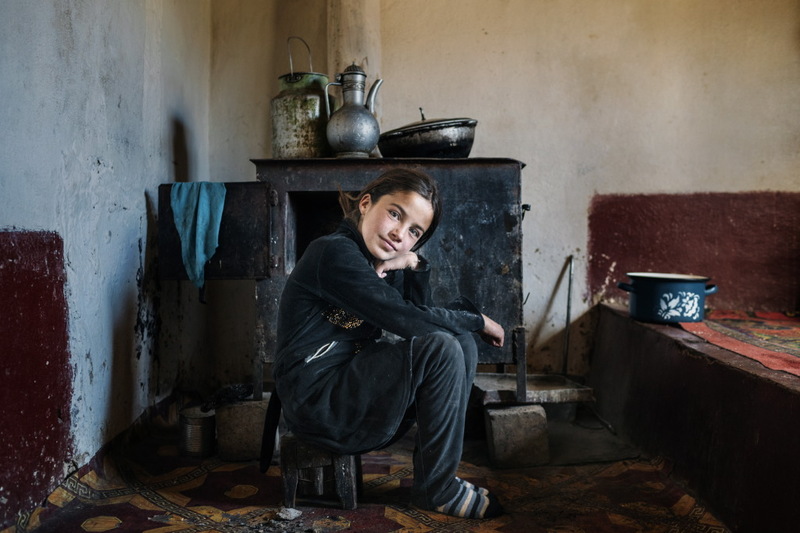 Alichur village, Tajikistan 2018. A young shepherdess intent in herding the sheep inside the sheeofold, after a day at pasture. 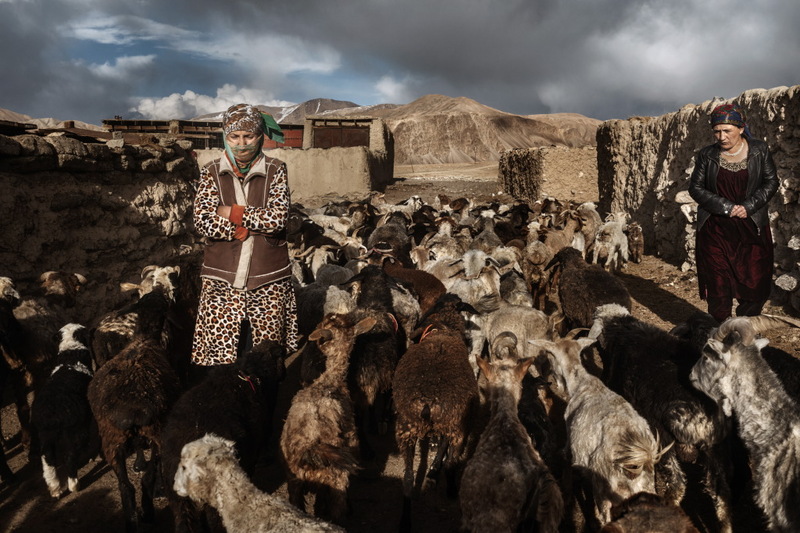 Yanchum village, Wakhan valley, Tajikistan 2018. Mazsima and her daughter Oisha inside their home. Sasyk Kul lake, Tajikistan 2018. Along the Pamir Highway M41 from Murghab to Kara Kul, Tajikistan 2018. Along the Pamir Highway M41 from Khorogh to Murghab, Tajikistan 2018. 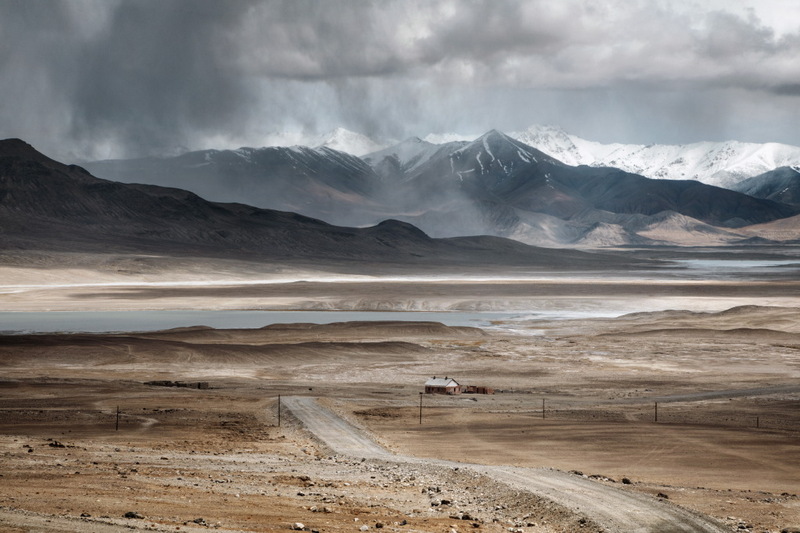 The Pamir road is the high-altitude road that leads from Khorog to Osh (Kyrgystan) and was built by Soviet military engineers between 1931 and 1934 in order to facilitate the transportation of troops and supplies in this remote USSR outpost. Today it is mainly used for the delivery of goods. The Chinese are the ones who transport all goods. 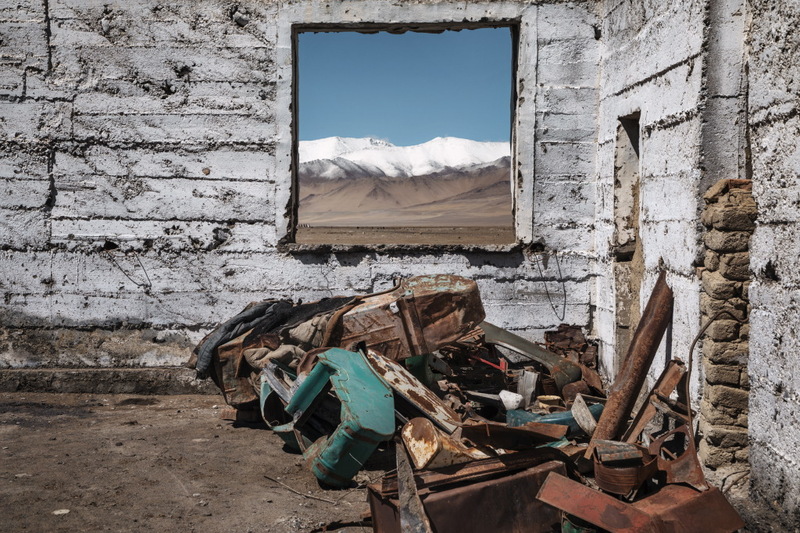 Everything from food, clothes, construction materials, cheap fabrics, electronic equipment, and more moves along the track of the old Silk Road, into Tajikistan and further to Uzbekistan, Turkmenistan, and Iran. Alichur village, Tajikistan 2018. There was no power in most districts of GBAO in winter. The Aga Khan Fund for Economic Development (AKFED), in partnership with the International Finance Corporation, formed the PamirEnergy company in 2002 to repair the electrical infrastructure of GBAO. 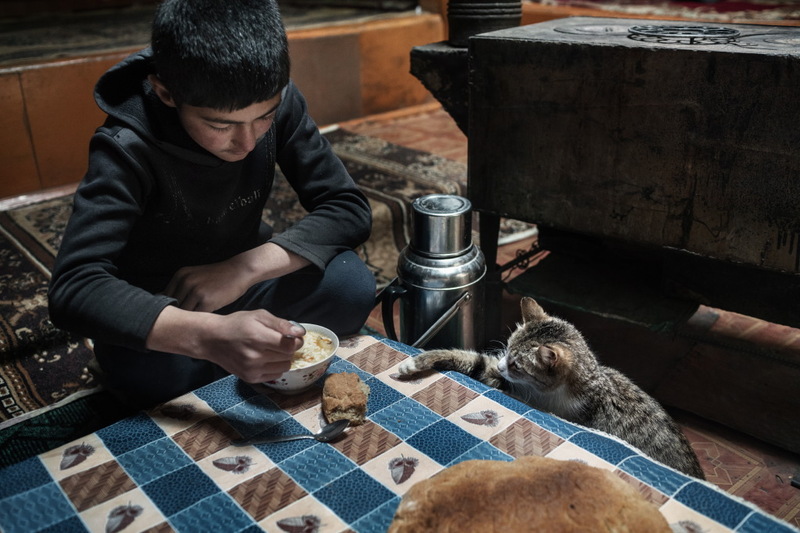 Alichur village, Tajikistan 2018. Mosque in the village of Alchur. Alichur village, Tajikistan 2018. 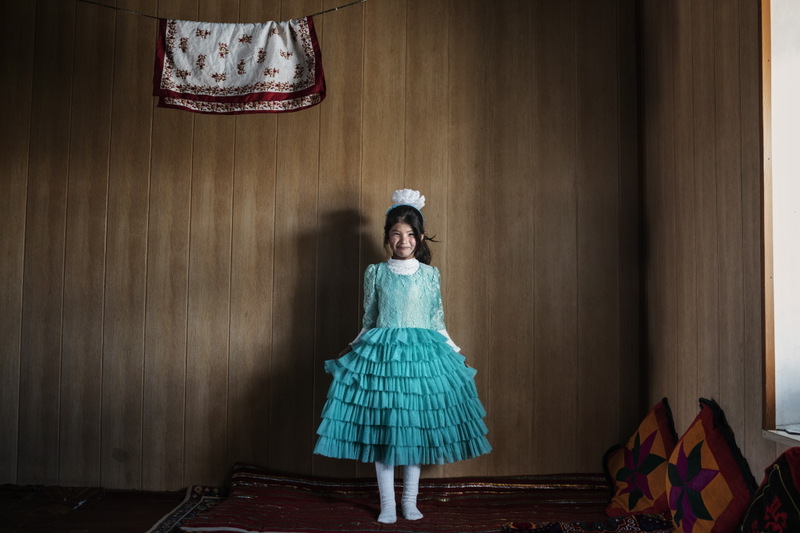 A young Kirghisa girl in the village of Alchur. 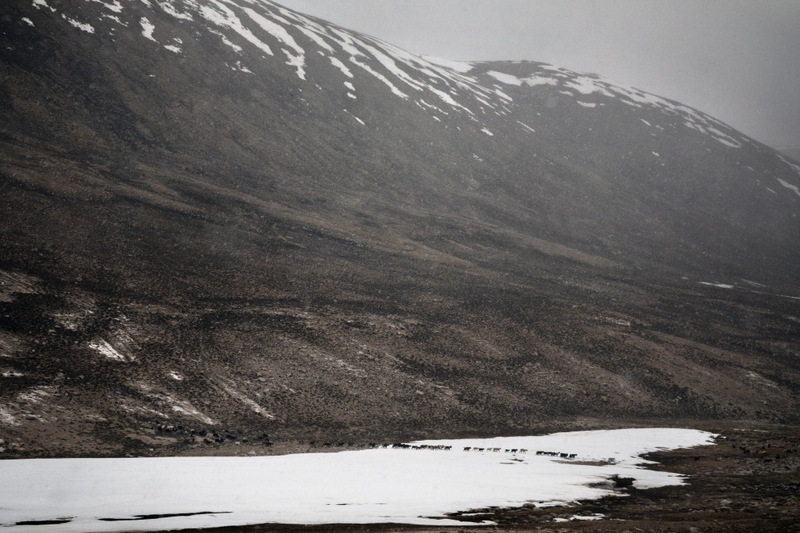 The Oriental Pamirs (Murghab district, population approx. 16,000) are mainly inhabited by people of Kyrgyz extraction. Alichur village, Tajikistan 2018. Children of the Kirghisa ethnicity busy catching the ball during a cricket game. The town of Murghab, Tajikistan 2018. Nazira, ten yers old, in her home. 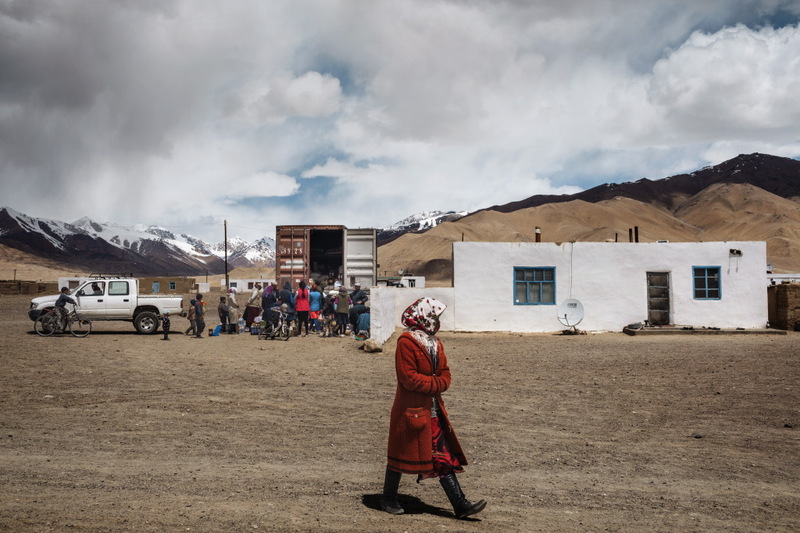 The Oriental Pamirs (Murghab district, population approx. 16,000) are mainly inhabited by people of Kyrgyz extraction. Darshai village, Wakhan valley, Tajikistan 2018. 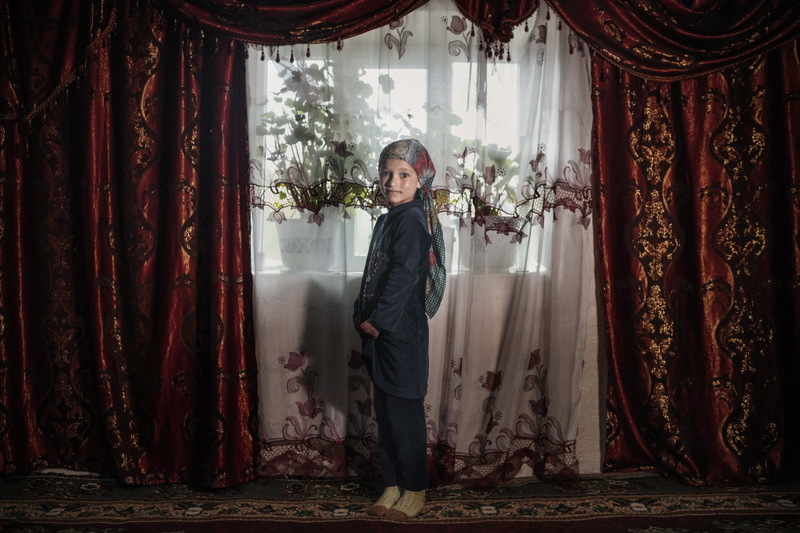 Shadigul, 14 years old, at home. 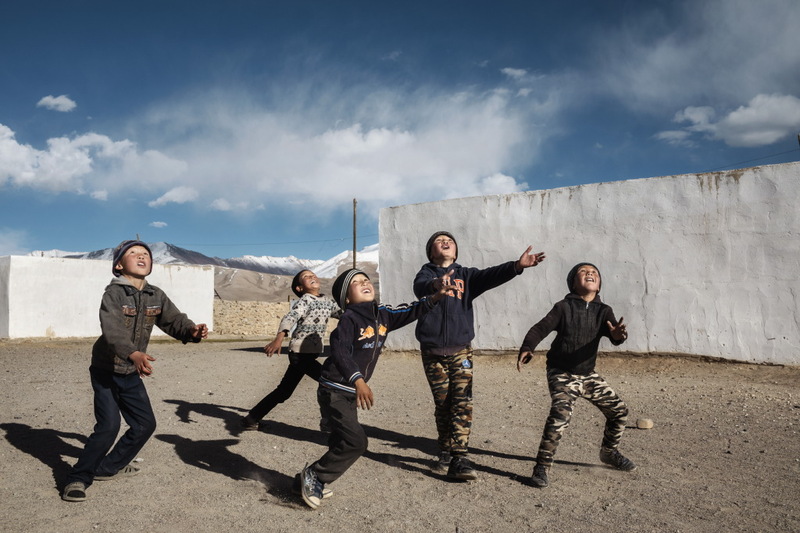 Kara Kul village, Tajikistan 2018. A view of the mountains from Kara Kul village. 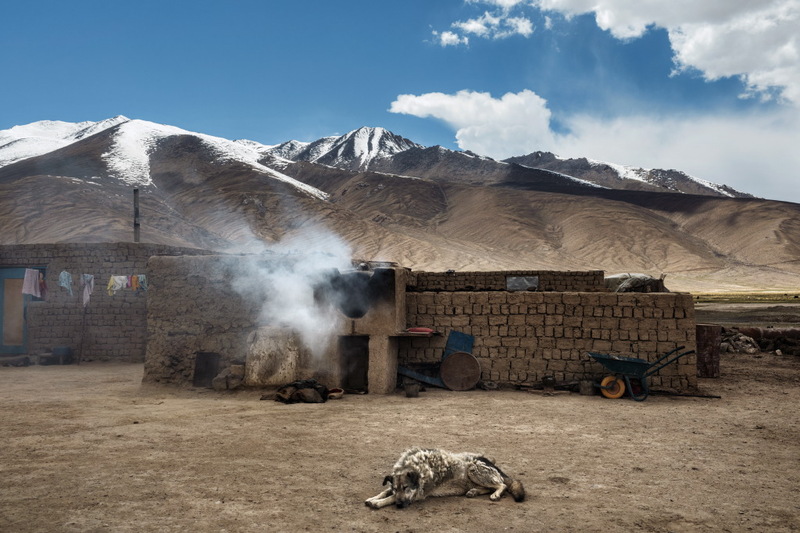 Yanchum village, Wakhan valley, Tajikistan 2018. Family intent in building their own home. 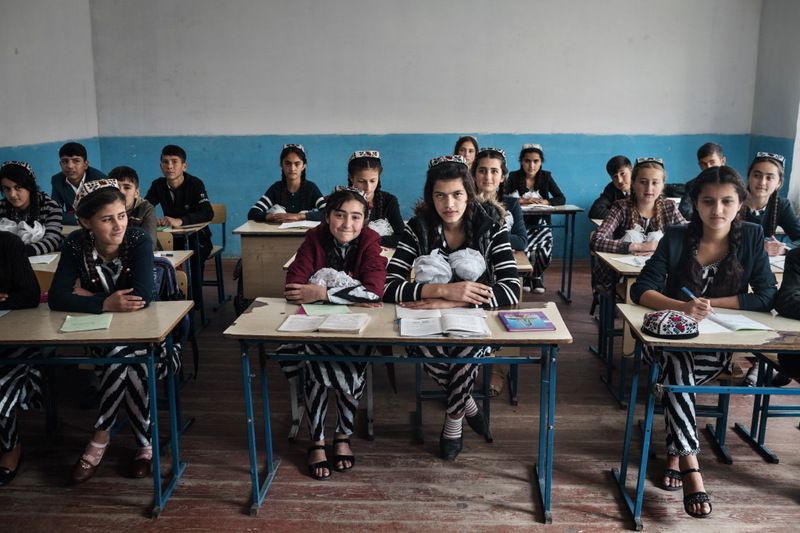 Khatlon district, Tajikistan 2018. 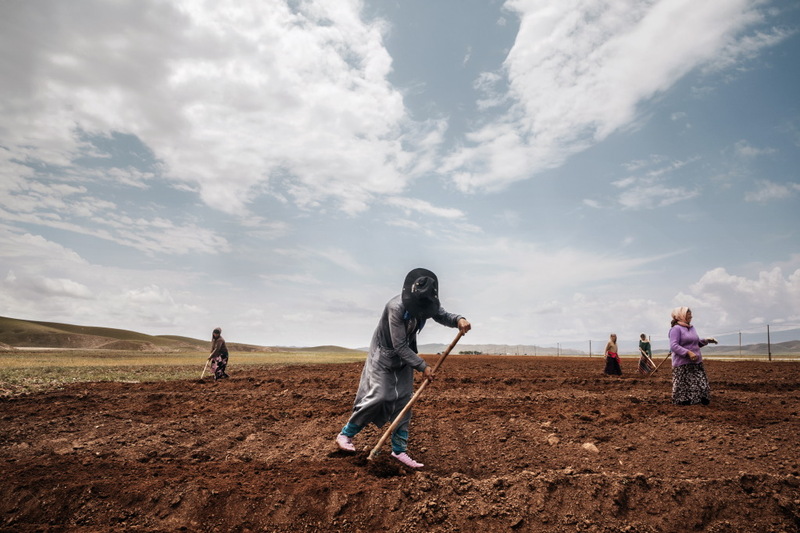 Farmers working in the fields nearby the village of Norak. 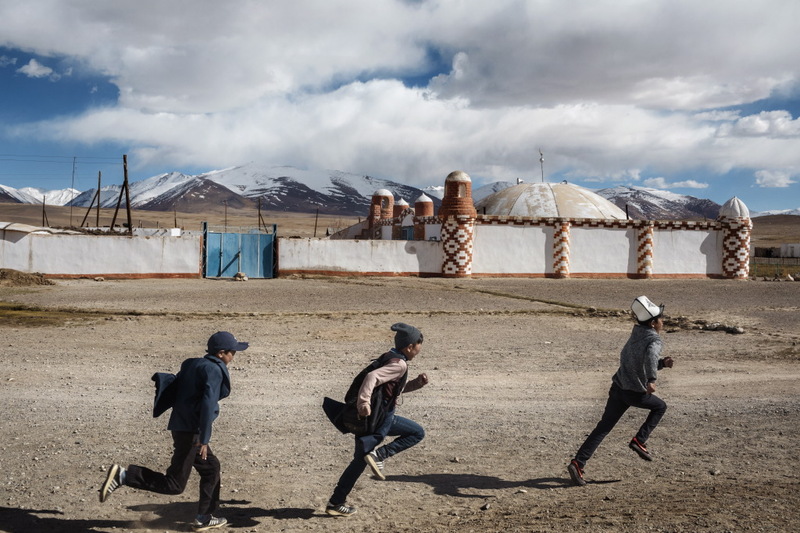 Khatlon district, Tajikistan 2018. 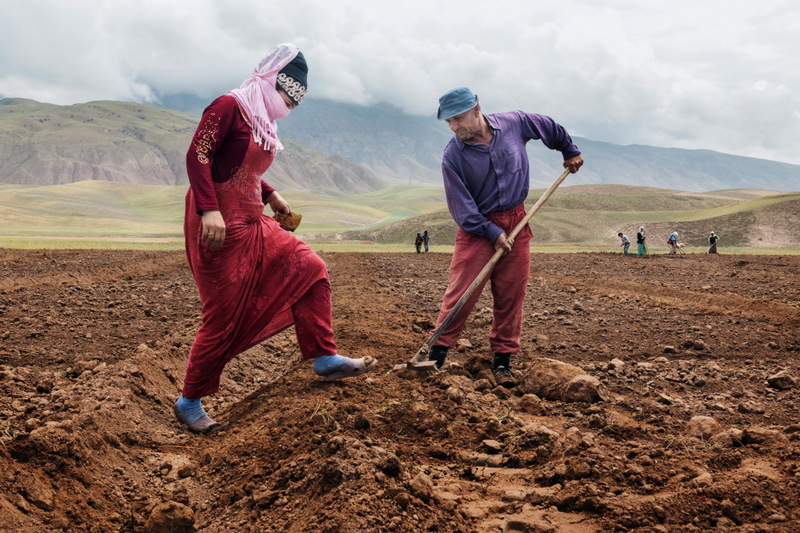 Farmers in the fields near the village of Norak. Alichur village, Tajikistan 2018. Shepherds as they herd the sheep inside the sheepfold after returning from the pasture. Alichur village, Tajikistan 2018. The village is the farthest occidental frontier of this community made up mainly by the Kirghisa population, in the Murghab region. Kara Kul village, Tajikistan 2018. 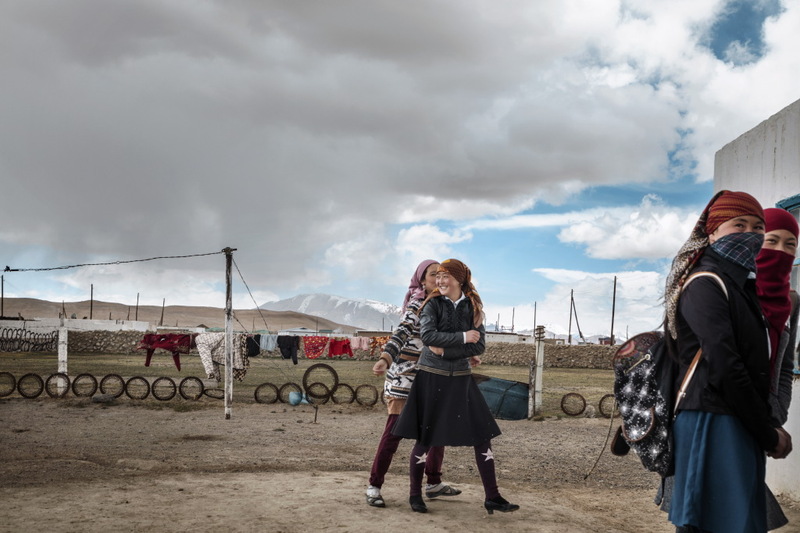 Young Kirghise girls as they return home after a volley ball game.The Eastern Pamirs (Murghab district, population approx. 16,000) are mainly inhabited by people of Kyrgyz extraction. 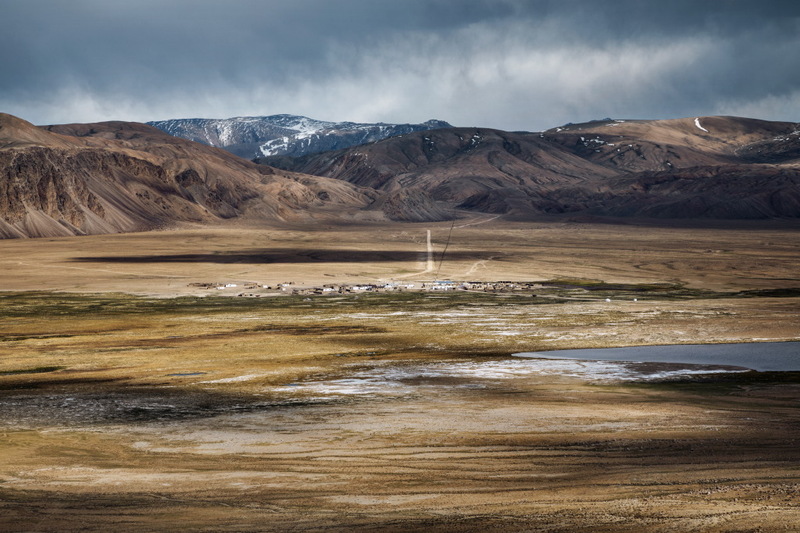 Kalai Khum town, Tajikistan 2018. A high school classroom in Kalai Khum. 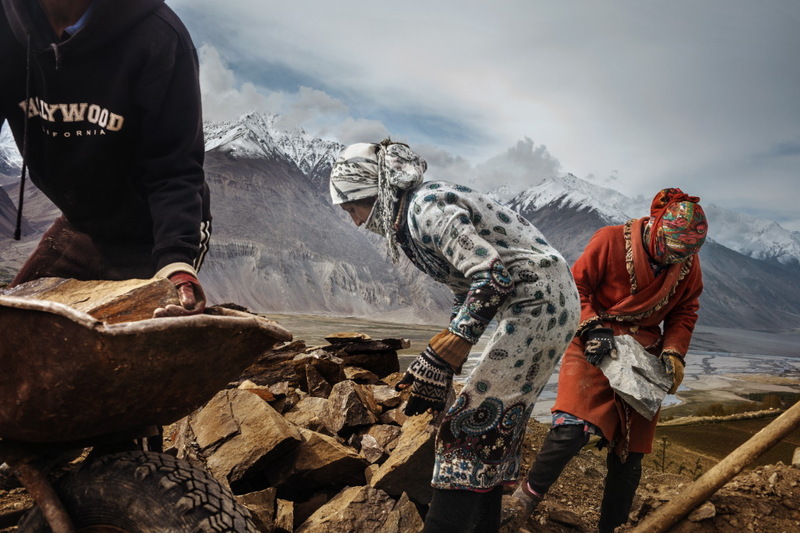 Langar village, Wakhan valley, Tajikistan 2018. Kamilla, 12 years old, at home. 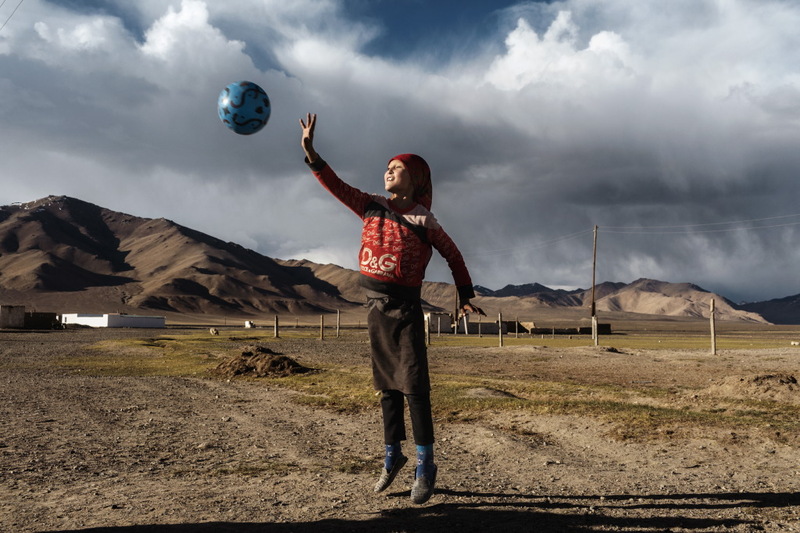 Rangkul village, Tajikistan 2018. A shepherd of Kirghisa ethnicity along the road conducting to the village of Rangkul. Along the Pamir Highway M41 from Alichur to Murghab, Tajikistan 2018. Alichur village, Tajikistan 2018. Weekly supplies. Once a week a truck with basic food and goods supplies arrives to the village. 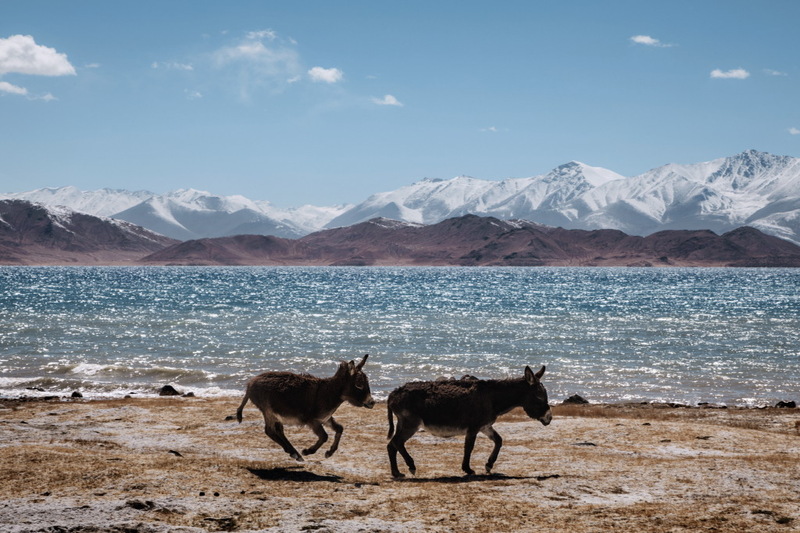 Pamir river, Tajikistan 2018. The river that separates the border between Tajikistan and Afghanistan. Alichur village, Tajikistan 2018. Costance, ten yers old, in her home.